What is the greatest single event of history? What moment in the history of the world signifies the most to humanity? Could it perhaps be the renaissance, when so many beautiful inventions and works of art were created? Was it the inventions of the 20th century that made life so much easier? Or perhaps medical advances, or scientific discoveries? To me, all these events pale in comparison to one event that happened, two thousand years ago on a hill called Calvary, where a man named Jesus was nailed to a cross, who hung and slowly died, was buried, and left in a tomb for three days. And then on the 3rd day the impossible happened. And far from being an isolated miraculous event, it’s implications would be the seeds that would take root and transform the entire world. We’re considering the scriptures today, 1st Corinthians 15, if you want to open in your Bibles there. It says in 1st Corinthians 15:3-4 that Christ had to die, be buried for 3 days, and that Jesus had to rise from the dead. This brings several questions to mind. 1. Why did Jesus have to die? 2. Why did Jesus have to rise from the dead? 3. 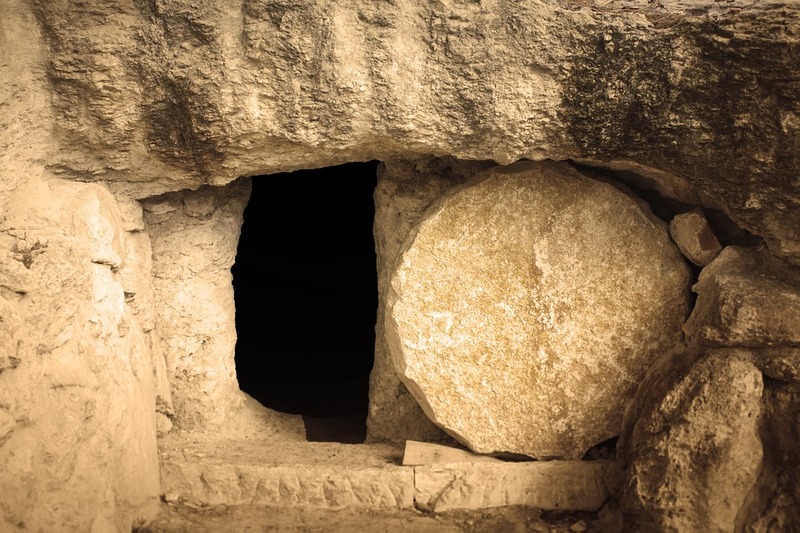 If Jesus really rose from the dead, how should we live? Three questions, and we’ll consider the answers to each of them. The entire Christian worldview, as an expression of ultimate reality, rests on the life, death, and resurrection of Jesus. The entire Christian faith worldwide is based around faith in Jesus as God come to Earth to save us, and Easter is about his resurrection. First question: Why did Jesus have to die? Jesus was born into the world, but Jesus existed from the very first few verses of the Bible, where God said to himself, “Let us make humanity in our own image” (Genesis 1:26). Jesus was part of that creative process, in what we call the “God-head” or the trinity, which is the Father, the Son, and the Holy Spirit. But the Son being the very image of God, was born, of the virgin Mary, into the world in a human body. He lived a life in which he became a representative for humanity, under the laws of God, living them perfectly, completely free from sin. And who can live free from sin in our world today? Raise your hand if you’ve never sinned. If Jesus was in the room, though He is in the room, but if we could see him physically, he could raise his hand. Imagine that. Every decision we make in life can either lead to sin or to goodness. And God has a vested interest in the decisions we make. Which implies that our God is a moral God, a just God, who deals with evil in the world. I think 2nd Corinthians 5:21 sums up very well what Christ did for us, it says: “For our sake he(God) made him (Jesus) to be sin who knew no sin, so that in him we might become the righteousness of God.” So not only did Jesus live a perfect life, no easy task, but He also went to the cross for each of us, becoming our sin. Why? Because Jesus decided he would step in personally, to delete our sins. 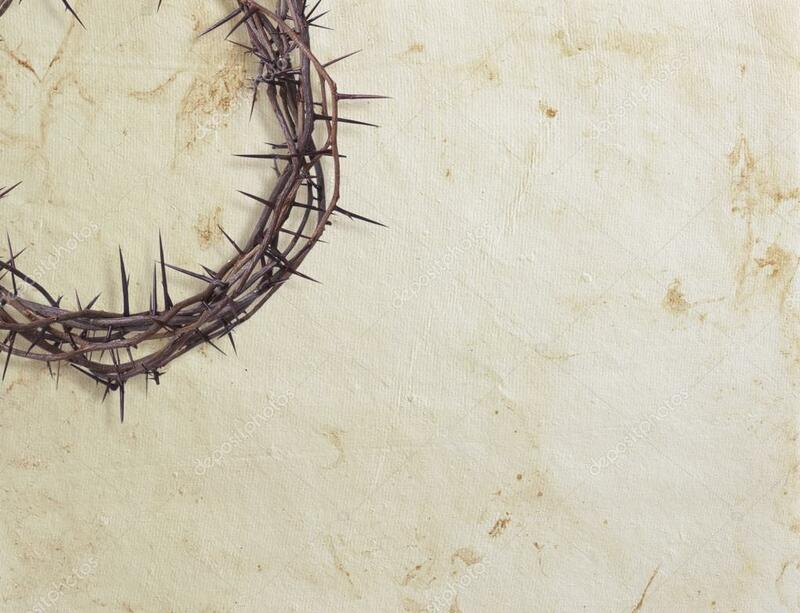 Jesus died on the cross in our place, taking the punishment we justly deserved, and took it upon himself. It’s as if we stood in a court room, and the judge was reading off a list of the crimes: all my sins, the drugs I’d taken, the pains I’d cause my parents, things I’d done to friends, people I had the chance to help and didn’t help, and I know as the judge reads the charges, that I’m guilty, and I deserve to be punished. And as the gavel is pounded, and the guards come to take me away, all hope is lost. Then Jesus walks into the court room, and up to the judge and says, “This man, Justin, is mine, and because I love him so much, the crimes you’ve just read off, instead of Justin being punished, punish me instead and set him free.” And the judge agrees, and I’m set free. And the guards take Jesus instead. That is the answer to the first question, why Jesus had to die. Because I owed a debt I couldn’t pay. Secondly, why did Jesus have to rise from the dead? If Jesus had stayed dead, we could all write him off. Well, he was just a good moral teacher, and the world did what the world does to good people. He was a good guy, but he wasn’t really God. And we can all go on with our lives and forget about Christ. But here’s the thing: Jesus did the impossible. Jesus resurrected from the dead. Now, it’s natural to doubt something like the resurrection. Maybe we think it sounds more like science fiction than fact? Perhaps it sounds too good to be true? Maybe it is too good to be true. Maybe it is just a pipe dream. But if it is just a dream, we must all be in the same dream together. Right now. Because the greatest miracle God ever performed was not the resurrection of Jesus. The greatest miracle God ever performed was creating the universe, the galaxies, and this Earth. God’s greatest miracle was creating plants, animals, and humans. If you struggle to believe in miracles, let me remind you: You’re in one right now. There are birds flying through the sky. There are four legged animals walking around. There are plants and trees that produce food just right for you to eat. We live on a sphere, a ball flying through space, revolving around a giant ball of burning plasma we call the sun, with another smaller sphere rotating around our Earth called the moon, and yet we struggle to believe in miracles? We live in a miracle. Each of us are miracles. A single cell in your body is more complex than New York city, according to biologists. Jesus is alive in heaven right now. If he were physically standing here, you would see the holes in his hands and feet where the nails pierced him. Jesus is alive. That’s why we celebrate Easter, resurrection Sunday. Because He’s saved us from judgment, condemnation, and from outer darkness, from hell. Jesus resurrected to show his disciples and the world that He was and is truly God. Yet Jesus also resurrected to communicate something to each of us: Since God raised Jesus from the dead, He can and will raise us from the dead after we die. Last year my family lost my grandma Monica and my grandpa Bernie within a month. It was about one year ago actually. What happened to them? They died. But they died believing in Jesus Christ. And trusting that Jesus was and is risen. So we can know for a fact, that Christ raised them from the dead, just as Christ himself was raised from the dead, and they will both live eternally. It’s a fact, plain and simple. The greatest problem of humanity is death itself. Everyone dies. And from the earliest times of humanity, we’ve wondered, can man live forever? Where is the fountain of youth? Jesus is the fountain of youth. Jesus has authority over death. And if we’ll believe in Him, and turn from sin and follow Him with our whole heart and life, we will live forever. I find it very interesting that Paul specifically encourages us to continue in the faith. It’s not enough to believe once and then drift away. We must continuously hold to the word of life, week by week, and year by year. That’s why we attend church weekly, and Bible study, and pray and read the scriptures daily. We must cling to the word of life and persevere in it. It’s not one and done. Now I think it’s important to mention that there is a lot of skepticism and doubt thrown at the Bible today. People say it’s just a book of myths, it’s not real, it didn’t really happen. That’s also what I used to think, until I really researched the Bible and its historical and archaeological verifications. And I realized the Bible is the most amazing, and well accredited book in human history. I think Charles Colson summed it up well when he said: “The Bible- banned, burned, beloved. More widely read, more frequently attacked than any other book in history. Generations of intellectuals have attempted to discredit it; dictators of every age have outlawed it and executed those who read it. Yet soldiers carry it into battle believing it is more powerful than their weapons. Fragments of it smuggled into solitary prison cells have transformed ruthless killers into gentle saints.” The Bible has been attacked by every generation, I think for this reason: It calls us out about who we really are. And that makes a lot of people angry. But let me assure you: You can trust every word in the Bible is the accurate word of God. Verses 3 through 7 of 1st Corinthians 15 outline the truth of the gospel, that Jesus lived, died, was buried, and resurrected from the dead. This first letter to the Corinthians was written around AD 55, by the apostle Paul to a church in ancient Rome, in the city of Corinth. And Paul specifically tells them that Jesus appeared after his death to over five hundred people, most of whom were still alive when he wrote this letter. So Paul is telling the people in Corinth: Listen, I’m telling you the truth, Jesus rose from the dead. And if you don’t believe me, ask any of these five hundred people who saw him after his death. That’s powerful evidence. After appearing to his closest disciples, and then to 500 witnesses, Jesus appeared to Thomas. Thomas didn’t believe that Jesus was alive. He said, “I will not believe unless I put my fingers in his wounds. So Jesus one day walked in the door, and walked right up to Thomas and said, “Put your fingers in my hands and in my side. Stop doubting and believe” (John 20:24-29). And some of us here may still be doubting, and Jesus says to us today: Here I am. Stop doubting and believe.” Because it’s true. There are angels here with us today, angels assigned to protect and shepherd the churches of God (Revelation 1-3, 2:1) and they stand ready to record your names in the book of life, if you are ready now to receive Christ. The altars are open right now, throughout the service, for you to come forward and declare Christ as savior. Ultimately it comes down to a decision we make, to change our mind and turn to Christ, and He will heal us. So not only did Jesus appear to Thomas, but then in verse 7 Paul says Jesus also appeared to him. And that’s where it became personal for Paul. See Paul, the one writing this letter was a persecutor of the church. He hated Jesus, and thought of Jesus as a false teacher, and he hunted down and persecuted the church. But then Paul personally encountered Jesus, and his life was transformed. The same moment came for me. I didn’t believe in Jesus for most of my life. I thought religion was for ignorant people. I thought it was for the older generation who didn’t understand science and progress. I thought Christ was just an old myth, a lie, and that society had moved past the need for such superstitions. I was wrong. I was so wrong. I had believed a well packaged string of lies, about history, about society, about science, and about life. And I’m so thankful that Jesus reached through all of that, and changed my life. Because the truth is I had become a drug addict, for 10 years I struggled in addiction. I had ruined my body, and mind, and yet through all of that I still had this arrogance about self-sufficiency, about my own intellect, that somehow I didn’t need God. But when things happen in life that bring us to a point of crisis, sometimes that’s exactly what we need for Jesus to break through the clouds and false beliefs in our minds and truly reveal himself to us. Through the beautiful moments of our lives, the laughter of childhood, the sweet memoirs of times spent with family, in the moments of romance, and in the broken times, in the tears, in the sorrows of death and shadows of broken relationships, and the times when we’re homesick for a place we’ve never been, and desperately empty within but we don’t know why, when we’re sick, exhausted, and at our wit’s end, that’s when Christ breaks through all the lies we’ve believed, all the clouds of skepticism and doubt, and He sweeps in and transforms our world. Christ goes from a historical person, from words on a page, to a real, in your face, living savior, and that relationship goes from formal, or distant, to personal, deep, and intimately close. Jesus is risen from the dead. Because he’s here right now. He’s present with us. The evidence is all around us. He’s changed billions of lives. But he’s also changed my life, personally. I was near death, in the emergency room, now I’m healthy, full of life, because Jesus lives. I said yes. Will you say yes? We celebrate his resurrection every Easter. He lives today. Last question: How should we then live? This is a big question. If Jesus is really alive and God, what does that mean? What I’ve been describing to you today is not simply a religious tradition, or a doctrinal truth, it’s much deeper than that, what I’m describing to you is ultimate reality. This is the ultimate truth of our world, our universe, and humanity, today, in America. It’s not just spiritually true, but literally actually true. So how should we live? I think we can break it down into four areas. Jesus calls us to a radical new lifestyle. And Jesus expects a lot from us. Firstly, Jesus expects us to turn in repentance from all the past sins we’ve struggled with. We must repent, and believe in Christ (Mark 1:13) To repent means to turn away from evil, and to do good. For me, when I first got saved, I knew Jesus was calling me to quit using drugs and alcohol, obviously. So through help, in twelve step groups, I was able to be free from those things. Then I quit smoking cigarettes. I also tried to eat healthier. Jesus calls us to live sexually moral lives. Secondly, He calls us to truly love others. Not just say we love them, or feel love toward them, but to love in action, through service. When we each die, we’ll go before Christ and he’ll want to know if we loved people. If we didn’t love, but were cold and sterile, we will have no place in his kingdom. Love, it’s so simple, yet so profound. He calls us to actions done in love. Thirdly, Jesus tells us we must forgive all those who have harmed us. I recall a story of a man in the Caribbean and he was diving with friends in the ocean observing marine life. And he reached out his hand and was suddenly stung by a deadly box jellyfish. He was found by a young fishermen boy who took him to shore, and then left him there. And he lay there, his body becoming numb, and he was becoming deathly sick. He wandered into town, and found some people smoking outside a bar. And he called for help. And they laughed at him, and ignored him. Then he flagged down a taxi, and asked to be taken to a hospital. But he didn’t have any money. To the taxi driver took him a few blocks and shoved him out the door and drove off. Then he wandered to a hotel still sick, dying really, and asked for help from some men playing cards. And the hotel manager got up and looked at his arm where he’d been stung and he said, “Why do you inject drugs young man? Shame on you.” And he walked away. He begged them for help, but they just ignored him. But someone called an ambulance. Finally, an ambulance arrived, and He was taken to the hospital. He was an atheist. But on the way there he knew he was near death. And he had this internal dialogue going on with God. And he asked God who he was. And God told him. And God instructed him to ask forgiveness for his sins. He did. But God also asked him if he would forgive those who had harmed him in his life. He said yes. Then God brought to mind the taxi driver, and the hotel manager. And he said, no I can’t forgive them, they wouldn’t lift a finger to help me. And then he realized, God had forgiven all of his sins. And now was he going to continue to hold the sins of others against them? He couldn’t. So he forgave both of them as well. Now, It’s easy to say “I forgive everybody.” But what about the people who have recently hurt us? Yes, God calls you to forgive them too. Even the people who have hurt you very, very deeply. Even people who have done unspeakable evil to us. If you have unforgiveness in your heart, anger, resentment toward others, please leave it behind today. Forgive them, because Christ has forgiven you. We’ll have no inheritance with Christ, if we hang on to unforgiveness. To sum up, to live as Christ tells us to live, we must: 1. Turn away from all sin, and fight off all active sin in our lives. 3. Forgive completely those who have done terrible wrongs to us. Fourthly and finally, we must truly devote our lives to God. I imagine that in outer darkness, in hell in the next life, there will be a lot of people who tried to walk the middle road of attending church, of being nominally Christian, but didn’t really devote their lives to Jesus. To be lukewarm, to be half in, to have one foot in and one foot out, is the same as being out. Christ calls us to a radically different life. And he knows our every thought and deed. He knows what we do in secret. Christ calls us to really devote our lives to him. And we can do that. We really, really can. We’ll have to make some changes to our weekly routines, but we can be totally sold out followers of Jesus. We must shift our road from what we desire, to what His plan is for us. It’s a radically different path from our own. And truly, that is the best life. Heaven is real, and hell is real. Our God is a God of love, but also a God of justice. So believe in the risen Jesus, and live a radically different life in response to that. Trust in Christ for the forgiveness of your sins, and live out the true Christian life through turning from sin, loving people, forgiving people, and being devoted to Christ.